Tunisia has sentenced seven extremists to life in prison for attacks on a museum and a seaside resort that killed dozens of people. So-called Islamic State said they carried out both attacks, supposedly their first in the small North African state. 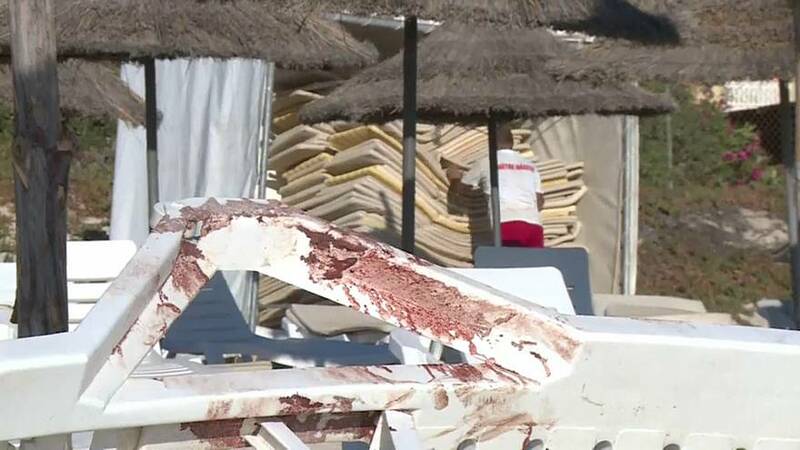 The attack in 2015 on a seaside hotel in Sousse killed 38 tourists, 30 of whom were British. It also badly hit the tourism industry which is only just beginning to recover. Three months before that the Bardo Museum in the capital Tunis was stormed and 21 tourists and a security guard were killed. In total, 51 Tunisians were tried, 27 were acquitted and the remainder received lighter sentences. Some of the defendants named Chamseddine Sandi as the mastermind of the attacks. Tunisian media reported that he was shot dead in 2016 in an US raid in Libya. One lawyer representing a French tourist in the Bardo attack said that the trial wasn't conducted properly. Gerard Chemla added that he was glad death sentences hadn't been handed out.